The future is ours! It only seems like yesterday, that was I sitting in front of my PC wondering what to write for the foreword of the Christmas 05 issue, and now we’re here again. 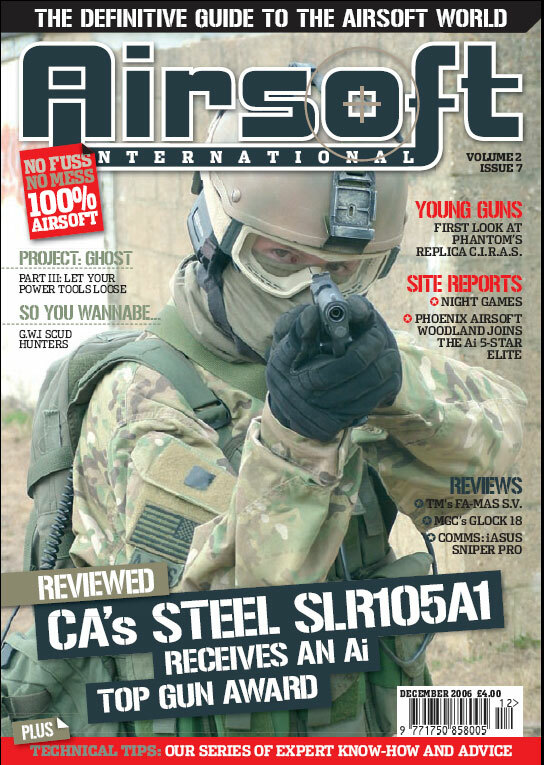 The Airsoft scene here in the UK has never looked better. Site operators are reporting an increase in new business as are the retailers and Christmas is just around the corner. Don’t you just love this time of year? I bet there are a few of you “fair weather” players out there that don’t” come on guys it’s only a bit of mud; get stuck in, the gear your wearing was designed to handle it, so you guys can. I guess it’s the big kid in me? But I’m always the first up on Christmas morning in my house hold and have gotten in trouble before as I make a s much noise as I can to wake my kids up and watch the delight on their faces as they rip open their presents.